Stay on point: The election is over, but your mission continues. We all have our opinions about the outcome of the election. But your mission goes on. And the mission of your organization is likely supported by people of all sorts of political persuasions. Our job is to work for our organizations. And that means being donor-centered, not self-centered. That doesn’t mean you have to stifle your political opinions. But it does mean being discreet. Conversations about politics, public policy and advocacy have their place, but it’s not with your donors when you are representing your organization. Plus… it’s the law. Democrat dollars spend as well as Republican dollars. To the orphaned child and mother battling breast cancer, your politics is meaningless. What is important is that you and your organization do all that it can to fulfill its Mission and seek out opportunities to do the things that it promises to do. Conservatives care as much about the homeless, jobless and hurting as do Liberals. Often the difference lies only in the methodology for aiding and curing society's and the world's ills. I have been a fan of several fundraising gurus and their blogs. In their moment of weakness, some of them have allowed their politics to show through to the detriment of their own fans – without warning readers to remain professionally and publicly neutral in their politics. It's disappointing to see this from those who should know better. I will keep my mouth shut when I am engaged in conversations with donors, prospects and other nonprofits when these talks turn to politics. As tempting as it may be to share my opinion, I refrain. When I won't keep quiet is when I feel that the representatives of charitable organizations are putting their organizations at risk by engaging in these discussions in the first place. You can read this in its full context by visiting the IRS's website. Again, by not following the IRS rules requiring the political neutrality of 501(c)(3) charities, you not only risk losing your organization's nonprofit status with the IRS, you risk losing financial support from private individual donors, businesses and foundations that support you now, and those that may support you in the future. What do you say when politics enters the donor conversation? It is election season and you don’t agree with your donor’s opinion… Or what if you are “blue” in a “red state” or vise versa... What do you say? Avoid discussing religion, money, or politics in polite company, the saying goes. Still, fundraisers have to talk about money all the time, and occasionally religion, particularly if they work for a faith-based nonprofit. But politics? In today’s contentious political climate, the topic has the potential to derail conversations with your donors. As the race to choose the next U.S. president intensifies, fundraisers should double down on their efforts to leave political views out of their conversations with philanthropists, say experts. One of the best and easiest ways to do that, says Daniel Post Senning, an etiquette expert, author, and the great-great-grandson of Emily Post, is to remember the fundamentals of all etiquette: consideration, respect, and honesty. If you’re talking to a donor and the subject of the election comes up, use those principles to guide yourself, says Mr. Post Senning. An important part of etiquette, he adds, is keeping your audience comfortable. That should remain top of mind even when other people aren’t practicing that principle themselves. No matter what happens, he says, remember that everyone has a right to his or her opinion, and you can acknowledge someone’s opinion without agreeing with it or revealing where you stand on the subject. “You’re not obligated to tell someone what you think,” he says. “You can always say you are uncomfortable talking about something, or that you don’t know what you think about it.” He suggests practicing in advance so you have a response ready that makes you feel comfortable. “Say it out loud so you hear it out loud and know how it sounds,” he says. Developing and practicing different responses is key to gracefully navigating such conversations, agrees Janet Harris, chief philanthropy officer at the California Academy of Sciences. And veteran gift officers, she says, should help their less experienced colleagues figure out how to respond in such cases. One of the most useful lessons a senior fundraiser can teach younger counterparts about dealing with these difficult conversations, she says, is the importance of listening. Listening also gives you information about what a donor cares about so you can redirect a conversation that has become uncomfortable to a point of commonality, says Aristide Collins Jr., vice president of development and alumni relations at George Washington University. Being able to listen closely and to exercise discretion in these types of conversations, says Mr. Collins, are key to showing your donors respect. So is remembering that the conversation is not about you and your viewpoints, he says, but something bigger. Gift officers, he says, should repeatedly remind themselves that they’re the caretakers of the nonprofit and the guardians of a donor’s relationship with that organization. • Let donors feel comfortable expressing opinions, even when they conflict with your own strongly held points of view. • Avoid saying where you stand on controversial issues or public figures. • Before meeting with a donor, practice using language that will steer the conversation to a different topic. • Always listen carefully to your donors, even during difficult moments. They may reveal valuable information about things that matter to them — insights that can help you as a fundraiser. • Remember that you speak for your institution, and your job is about something much bigger than your one-on-one interactions with a donor. ​We propose that nonprofit organizations get serious about managing their organizations so there can be operating surpluses and capital reserves. We encourage organizations to part from their sacred cows and untenable business models, to really adjust how they do business. Breaking-even doesn’t cut it anymore, if it ever did. For too long in the nonprofit sector, we have fooled ourselves into thinking that $0.00 at the end of the year meant success. Or that we need to build an endowment even if we are struggling to pay the bills. We stepped back and challenged those long-too-held assumptions, looking at how flawed planning, communications and funding norms perpetuate our broken business models. Proper capitalization not only allows nonprofit organizations to operate day-to-day, but gives a chance to take a risk and seize opportunity. It allows us to weather change and recover from the storm. Capital supports acquisitions or upgrades and helps us meet future facility and equipment needs. We need to explore a new paradigm and vocabulary that fundraisers and grantees, donors and grantors can use to inform and transform nonprofit financial practices and provide insights into having effective dialogues. We discussed community capital drivers, their institutional values and practices, and the ways that each entity fits into the sector. Nonprofit organizations continue to budget, program and raise funds based on practices and perceptions established decades ago. Some of these "cultural norms" are actually detrimental to the long-term health of the sector and perpetuated by both funders and nonprofits. We work in outmoded ways, and then wonder why we don’t achieve success. Grantmakers in the Arts, is a national group of major private and public arts funders and has been tackling these issues for several years. They have researched how under-capitalization is causing the chronic weakness that undermines the vitality of our sector. Originally funded by the Kresge Foundation and developed by Nonprofit Finance Fund and TDC, their workshop, Conversation on Capitalization and Community, allowed over 600 institutional and major donor participants in 14 major cities to discuss what it means to be well capitalized and achieve financial health and vibrancy. They have tested their model and emphasize that capitalization is the means to nonprofit success. It is a message you don’t often hear in non-profit circles: You can’t capitalize a broken business model and every organization needs working capital. We weren’t sure how it would go over, but people loved it. One woman said our session was “worth her entire cost for the conference and that the session was ‘real’ with serious content that made a difference. That we didn’t play games and that we said what she had been attempting to get across to her board for a while.” She was exuberant about it. That’s the way the whole conference was. There was meat on the bones everywhere. People want to change things. ​Individuals, organizations or foundations that provide financial support to nonprofits can (maybe should) wonder about the impact their support is having and whether it can be utilized to greater effect. This can be especially true for those entities helping arts or cultural nonprofits, which provide a benefit that cannot always be quantified. Speaking during the Association of Fundraising Professionals International Fundraising Conference, Janet Brown of Grantmakers in the Arts and Brian Bonde of Advanced Certified Fundraising, provided five suggestions for funders about the help they provide to arts/cultural groups. * Be clear about your chosen role. Are you a “buyer” (a source of ongoing revenue) or a “builder” (a source of periodic capital)? Funders can play one or both of these necessary roles, but each role requires a different kind of investment strategy. * If you are a buyer (who provides revenue), fund programs and projects at full cost, supplemented by unrestricted support. Funders who invest in program expansion without supporting related operating costs are encouraging organizations to overextend. * If you are a builder (who provides capital), orient support to the hierarchy of financial need. Encourage and support organizations to address their liquidity needs first by prioritizing working capital to manage cash-flow cycles and operating reserves to absorb regular operating risk. * Talk about capitalization principles with organizations. Review business models with applicants and discuss what drives revenue and expenses. * Talk about capitalization principles with other funders. 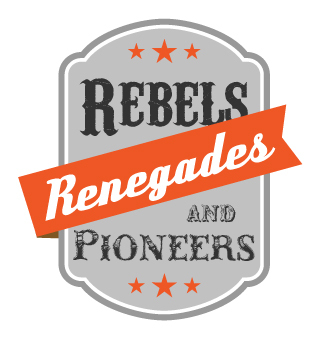 Consider pooling capital resources with like-minded grantmakers. What do you look like on Guidestar? Yes, if you file a federal nonprofit tax return (Form 990), your organization is probably there, whether you know it or not. Guidestar has a great collection of public information about most nonprofit organizations in the US. And savvy donors go there to find out more about you. Guidestar just released a new tool for managing your profile and you should consider using. 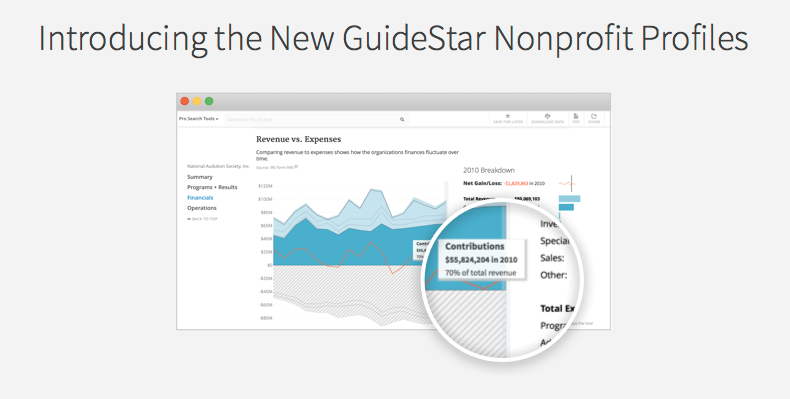 GuideStar recently launched completely redesigned nonprofit profiles. Now, for free, any U.S. charity can expand its GuideStar profile to tell its story to donors and grantmakers. You can have a bronze, silver, or gold seal of transparency in less than a couple of hours. It may be the most useful couple of hours you invest in fundraising this year. Since the mid-1990s, GuideStar has been posting publicly viewable information about every IRS-registered nonprofit organization so that prospective donors and grantmakers can see reputable information about each nonprofit's mission, legitimacy, and finances. GuideStar has made a big step towards its 2020 strategic goal to provide a much more detailed picture of each organization's charitable work. It went live on January 20, 2016 with a significant upgrade after working for a year in collaboration with BoardSource, BBB Wise Giving Alliance, the D5 Coalition, and Independent Sector. The new profiles go well beyond the simple financial metrics that had led to the overhead myth. (According to the overhead myth, a charity's legitimacy is largely based on how small its operating expenses are compared with its overall budget.) The new GuideStar profiles instead highlight the progress organizations are making toward accomplishing their overall missions. There's a new section on "Charting Impact" — five questions that probe the results of a charity's work. GuideStar also added an expanded operations section that includes information on the people, governance practices, and partners that make an organization work. These additions give charities, no matter how small, the chance to have a bronze, silver, or gold seal of transparency. Jacob Harold, president and CEO of GuideStar, says it this way: "Our new profiles offer enhanced visibility to nonprofits of all sizes. It's important to us that a small, all-volunteer organization has just as much access to GuideStar's 7 million users as a billion-dollar global nonprofit." One of the biggest fundraising challenges nonprofits face is to stand out among the millions of charities out there. Here are a few reasons why updating your profile is so useful. Each year, 7 million people, including individual donors, nonprofit leaders, grantmakers, government officials, academic researchers, and the media, use GuideStar's data to research and make decisions about supporting charities. About 35,000 foundation staff members have GuideStar accounts to research the nonprofits that they fund. All major U.S.-based donor advised funds, such as Fidelity Charitable, use the service, as do donation services like AmazonSmile, JustGive, Network for Good, and VolunteerMatch. GuideStar is being integrated into leading grants management software like Fluxx and MicroEdge. Having a full GuideStar profile will save you time in your grant applications. With just a few keystrokes, a nonprofit can automatically add information from its GuideStar Nonprofit Profile to its grant applicationswith participating funders. You can get a free KIMBIA online donation button on your online profile page. This free service is especially useful to charities without a website who want a place to send online donors. Click on the blue Get started now button near the center of the screen. Sign into your account (use your registered email address and password) — or, if you don't have an account, create one. When you're signed in, you should see your organization listed on the page. Click on your organization's name. Follow the on-screen instructions to update your profile. Bask in how awesome you are! Getting a basic bronze status takes 15 or 20 minutes, and moving up to silver or gold — not much longer. Currently among the 2.4 million nonprofit records on Guidestar, only a little over 8,000 organizations have gold status. It's a very good time to stand out from the pack. Is your nonprofit organization on a "starvation cycle?" It happened again. Almost every week someone asks me, "what should our fundraising cost us?" They want a want an exact dollar amount or percentage. If we focus on overhead cost and not the value of our mission, things almost always go awry. There are so many factors to consider, most of all, what do you want to get done in your development program? Businesses in the for-profit sector figure out what they need to do and budget accordingly. In our sector, we too often worry about the costs and then wonder why results lag when we haven't provided the people or money to get the job done. "Only X cents on the dollar go to overhead costs." Why? Because you do both your organization and your donors a great disservice when you focus on overhead as the key indicator of your worthiness to receive donations. Your overhead ratio—the percentage of total expenses devoted to administrative and fundraising costs—tells people nothing about your organization's effectiveness. It fails to measure the most important thing of all: how well your nonprofit is accomplishing its mission. The heads of the BBB Wise Giving Alliance, Charity Navigator, and GuideStar have joined together to demonstrate why the Overhead Myth is harmful and how nonprofits can battle it. "While overhead can help us identify cases of fraud or gross mismanagement and serve as a part of an organization's dashboard of financial management metrics, it tells us nothing about the results of your work (i.e., how you meet your mission)." "This starvation cycle hurts nonprofits and donors, but, most important, it hurts our shared work for a better world." We hear you panicking. "Donors expect us to talk about overhead," you say. "If we invest in infrastructure, donors won't give to us." We can help you with that. In fact, we can all help each other with that. It's true that over the years, donors have been taught (brainwashed) to rely on overhead ratios to evaluate nonprofits. Working together, however, we in the nonprofit sector can change this state of affairs. Demonstrate ethical practice and share data about your performance. Manage toward results and understand your true costs. Help educate funders (individuals, foundations, corporations, and government) on the real cost of results. The letter elaborates on these goals and provides resources to help you achieve them. The Overhead Myth/Overhead Solution website also offers free tools to turn myth into solution. Working toward the Overhead Solution won't be a quick fix, but it's one whose impact will increase as more nonprofits embrace it. In the words of the three leaders, "Let us drive a conversation about nonprofit trustworthiness and performance that is worthy of the people, the communities, and the ecosystems we all serve." 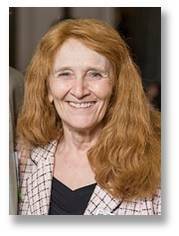 ​Suzanne Coffman is GuideStar's editorial director and editor of the GuideStar Newsletter.